In Birmingham, there’s only really one question in the air. Will the disagreements on how the UK removes itself from the EU tear the party apart? Not if the parade of senior figures who’ve spoken from the main stage today can help it. 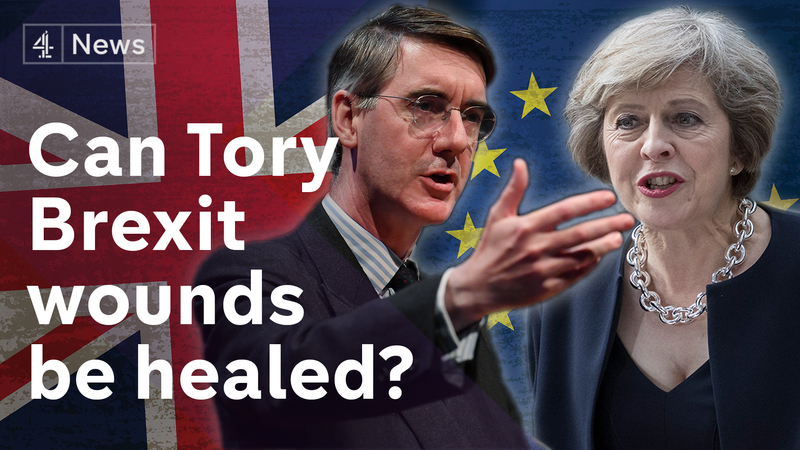 The Chancellor, the Brexit Secretary and the Scottish party leader have all appealed for dissenters to get on board with the Prime Minister’s Chequers plan. But judging by the mood at numerous fringe meetings, they’re going to have their work cut out. We speak to Health Secretary Matt Hancock, Conservative MPs Jacob Rees-Mogg and Anna Soubry, and Radek Sikorski, former Polish foreign minister.